Power outages are typical during winter months, as the weight of snow and freezing rain, along with high winds, can wreak havoc on power lines. While power companies do work as quickly as possible to repair service, they can’t help everyone at once. Wouldn’t it be nice if you had a backup power source to keep sump pumps running and to prevent food from spoiling and pipes from bursting? You can achieve those things when you get a solar panel system with a storage addition from POWERHOME Solar. POWERHOME offers the LG Chem RESU10 battery as part of its premium solar offering, giving customers backup power to three vital household circuits in the event of any outage. Our battery solution will not run your heating and air conditioning units, and it will not take you off the grid. But if you happen to work from home, you can power the receptacles in your home office to do your job. With a space heater, you can keep as warm as you can and hunker down until power is restored. You will get to pick 2-3 circuits that you want to continue running as the power is down. Those circuits will start running via an automatic transfer switch, which will begin running your home’s key loads off of your battery. While our battery solution is limited in scope, think about all the hidden costs that our battery can save you from incurring. Replenishing your fridge after an extended outage could leave you spending hundreds of dollars. Maybe missing a work deadline with no power costs you significant business. Do you really want to deal with flooding in your basement? If any of those things are significant concerns of yours, then a solar plus storage solution may make great sense for you and your home. The LG Chem battery is a top-of-the-line solution. We chose it because it aligns with the other top-class products. 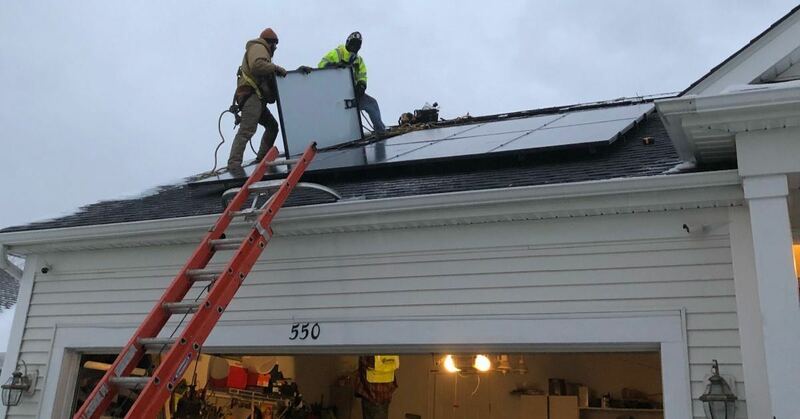 And because it’s part of your solar installation, it also qualifies for the 30 percent federal tax credit that is available through the end of 2019. There’s never been a better time to get the most bang for your buck on solar than now, especially as the tax credit will shrink in 2020 and beyond. Our battery solution’s capabilities are also expandable, so it is ready for future uses, such as use-all capabilities. But do know that the only use for your battery right now is to be the backup when it’s truly needed. If you’re ready to go solar, POWERHOME Solar would love to work with you. With our innovative solar program, homeowners can go solar for $0 up-front cost, save money on their electric bills, and generate their own clean energy. The solar panels installed on your home are American-made and come with a 30-year warranty, with many panels expected to last well beyond that.